How are you doing so far? Are you saving as much as you want? If not, this is the perfect time for a fresh start. Are ready to have a better financial life? If you haven’t done this recently, you really should. It lets you know how you’re currently doing and you can check to see what information the credit bureaus have on file (who knows it could be inaccurate!). There are a few services out there where you can see your score for free. You can use Credit Sesame to check your credit score for free (it’s what I use)! You probably have a credit card or two, a checking account, a savings account, and a 401(k) – at least. Many of you probably have more accounts than that. Do you know all the accounts that you have, the current balances, and if you have loans do you know the interest rate? If you don’t then you should use a tool like Personal Capital to see all of your accounts in one place. Personal Capital is totally free, and while using something like Mint is great, I love using Personal Capital to see my accounts all in one place so I can see my net worth. Do you have your $1000 mini emergency fund saved? If yes, do you have your full emergency fund saved? And if you do, do you have your sinking funds ready? If you haven’t started saving, or are having trouble saving, then consider automating your savings. Acorns is an app where you can set up automatic transfers (weekly/monthly/every two weeks, etc), and it can round up your purchases and invest the excess change for you! Automagically! 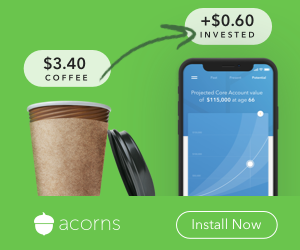 Right now, they’re giving everyone who signs up a $5 Referral Bonus – So Sign-Up For Acorns Today! Usually your 401(K) plan will put your in a default fund and there’s no rebalancing (you have to do it yourself). 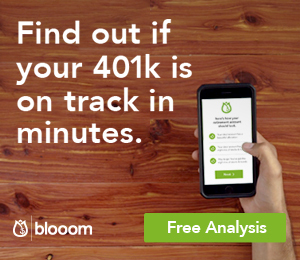 With Bloom you can find out how your 401(k) is doing. It will invest in the funds that are perfect for your age/investor type (and funds with low fees! ), and it will take care of rebalancing for you! If you aren’t investing through your work plan, you should start (even if it’s just 1%!). If your employer offers matching, please at least invest at the minimum amount needed to get the matching! If you don’t have a 401(k) plan, consider investing elsewhere. You can use Acorns for your retirement savings / investing needs! I know you probably have tons of things you no longer use that you could sell for money! The beginning of the year is a good time to start a side hustle or to try and make money in other ways. My favorite way to make some extra cash is through Survey Junkie. You can answer surveys from your phone or on your computer, and you can get cash through PayPal! Here are my two secrets for saving money on groceries: $5 Meal Plan and iBotta! For $5 a month, $5 Meal Plan will send you a pre-made meal plan (with a shopping list!) each week. Each meal plan has 5 dinners (with sides), one lunch, one breakfast, and one random recipe (could be a dessert, a drink, or snack!). They also include a drag-and-drop meal planner that you can use! All the meals usually cost less than $2/person to make, so it’s saved me a TON on groceries. You can try them out for 14 days for free (so you’ve got nothing to lose)! iBotta is an app where you can earn money for getting groceries! You just find the store you’re going to shop at, add the offers for the products you’ll be getting, and then you upload a picture of your receipt when you’re done shopping! Just this week I got cash back for getting crackers, lemonade mix, and deodorant. This is one of the EASIEST ways for me to make some extra money, and it sure beats clipping coupons! So there you go, 7 ways you can level up your financial life! Let me know if you end up trying any of these things, and contact me if you have any questions!